Are you expecting a journey to Tibet? 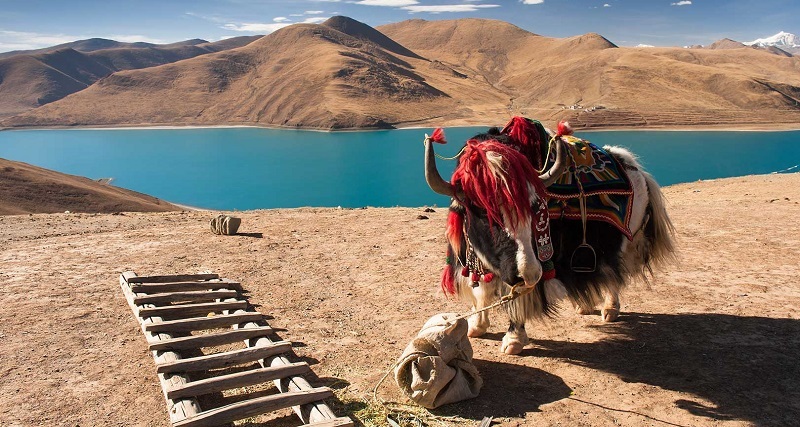 Do you know how to plan a wonderful Tibet tour? After searching a great number of documents online, here I’d like to share a complete Tibet tour guide for you. From the ancient time to the resent, Tibet is a hot tourist destination for travelers from home and abroad. Abounding with rich natural resources and majestic scenic spots, Tibet enjoys a high reputation in the world. Every year, a large number of international tourists head to Tibet for the purpose of exploring the mysterious Tibetan Buddhism, splendid snow-capped mountains, crystal-like lakes, and splendid temples and monasteries. There are some tips about Tibetan culture and tour, which may help you arrange an unforgettable trip in Tibet. Tibetan New Year is the most vital festival in Tibet. The date of Tibetan New Year is stipulated based on traditional Tibetan lunar calendar. During this festival, Tibetans will visit friends and relatives and enjoy some delicious food with each other. Shoton Festival is another important festival in Tibet. The name of this festival means having a yogurt banquet in the Tibetan language. The main performance of this grand festival is the Tibetan Opera, therefore, it has another name, “Tibetan Opera Festival”. It is always held in June and July based on the Tibetan Lunar Calendar. And the duration time is about one week. Besides those festivals I mentioned, Saga Dawa Festival also plays an important role in Tibetan lives. The main activities of this grand festival are listed as follows: doing kora on the Barkhor, Tsekhor, and Lingkhor, freeing animals and fishes, reciting Buddhism sutras, visiting monasteries and temples, and having a picnic. Lhasa City: Potala Palace, Jokhang Temple, Ramoche Temple, Yangbajin Hot Spring, Riduo Hot Spring, Norbulingka Park, Barkhor Street, Tolung Tsurpu, Tashi Temple, and so on. Shigatse: Mt Everest, Tashilhunpo Monastery, Palcho Monastery, Sakya Monastery, etc. Nyingchi: Yarlung Zangbo Grand Canyon, Nayi Valley, LamlaTso Lake, Dragsum Tsho, Namcha Barwa Mountain, etc. Shanna: YamdrokTso Lake, Samye Gompa, Yumbu-Lha Khan, etc. Ngari: Mt Kailash, Manasarovar Lake, Guge Kingdom Ruins, Pangong Tso Lake, etc. The best time to visit Tibet is from April to October. The temperature gets higher and higher, and the scenery becomes more and more attractive. From November to March is the slack tourism season. Winter is also a good season for travelers who are willing to have budget Tibet tour. Travelers can save a lot of money on accommodation, tour guide, vehicles, and so on. Due to the huge difference between day and night, you need to take some warm clothes with you. In summer, the average temperature in the daytime is about twenty degrees, and the sunlight is strong, so you should take some skin product such as sunhat, lipstick, suncream, etc. The temperature at night will drop at ten degrees so it will be colder at night. The temperature in winter is lower, so you should take more thick and warm clothes.